From the waterways of Northern Botswana’s Chobe National park to the majesty of Victoria Falls and the plains of Hwange this safari is all about contrasts: different scenery, activities, vegetation and the mammals and birds these ecosystems support, highlighting complimentary game rich habitats. On arrival in Kasane, Botswana Meet your driver to Muchenje Safari Lodge. Situated on the Western side of Chobe National Park, Muchenje is the only lodge in this area and offers unique prolific game experiences with unparalleled safari experiences for discerning clientele and newcomers to the bush alike. With stunning panoramic views, the Central Lodge is the heart of Muchenje. Accommodating just twenty guests in intimate exclusivity with ten twin-bedded thatched chalets, all with en-suite facilities, are sited on the escarpment edge with their own balcony and unique view. Relax in the lounge, bar or look out platform and enjoy the wonderful atmosphere. The Main lodge features dining area, bar, reception, curio shop, game viewing platform and library. The swimming pool is built amongst natural rock formations, taking advantage of the African vista and providing a tranquil setting for guests to relax during the heat of the day. Meals are served table d'bush, wholesome and plentiful, yet well presented. Theme dinners, Vegetarians and special meal requests are catered for. After a light breakfast in the main area, depart for your morning activity returning in time for lunch. You will have a few hours of time to yourself to relax or explore the camp before having afternoon tea and heading off on your afternoon activity. Dinner is served in the main area. 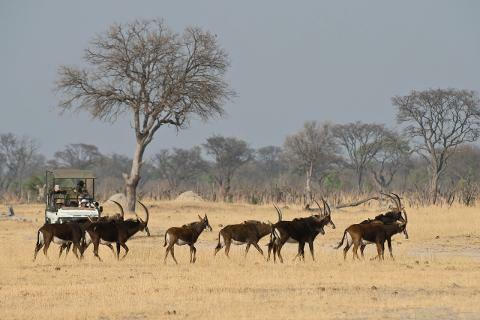 You will be transferred by ground this morning to the Hwange National Park to spend the next three days at Davisons Camp which lies deep in Hwange National Park, in the south-eastern Linkwasha Concession - one of the best game viewing areas of the entire Park. It is a classic African tented camp, with both the tents and the separate main area, comprising a lounge, dining room, and open campfire area tastefully hidden beneath a grove of false mopane trees, overlooking a waterhole and open plain. A well-stocked bar is kept with all basic soft drinks, beers and spirits. This camp, with its 8 tents and a family tent, offers a wonderful bush experience. Activities include game drives in open 4x4 vehicles, or guided walks in the early mornings, while during the siesta hours, guests can view wildlife coming down to the waterhole to drink from their tent veranda or the main area. 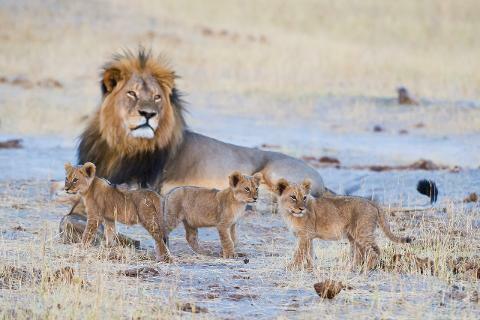 Game viewing is productive year-round and wildlife frequently encountered here includes lion, large herds of elephant, buffalo, leopard, white rhino, spotted hyaena, southern giraffe, sable, blue wildebeest, impala, common waterbuck and reedbuck. There are a number of large, open plains areas which make for excellent game viewing. After a light breakfast in the main area, depart for your morning activity returning in time for lunch. Morning and afternoon game drives are offered in open 4x4 Land Rovers each accommodating a maximum of seven people, allowing each guest an ‘outside’ seat.You will have a few hours of time to yourself to relax or explore the camp before having afternoon tea and heading off on your afternoon activity. Dinner is served in the main area. 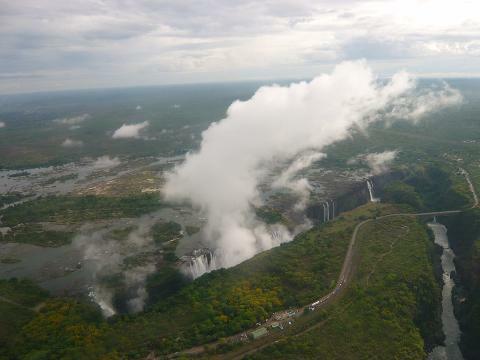 This morning, enjoy one last activity before being transferred via light aircraft back to Victoria Falls for your onward journey.  Lite Aircraft flights as indicated on itinerary.  Accommodation at the hotels, game lodges or rest camps specified in the itinerary, on the basis of two persons sharing a twin-bedded room with en suite bathroom, or shower / toilets.  Victoria Falls Safari Lodge Package includes: 2 Nights’ accommodation, 1 x dinner at MaKuwa- Kuwa restaurant (Table d'hote Menu), 1 x dinner at The Boma with return shuttle, 1 x Vulture Culture lunch in the Makuwa-Kuwa restaurant, 1 x Guided Tour of the Victoria Falls, 1 x Sunset Cruise (Zambezi Explorer Middle Deck 1 & 2), hourly courtesy shuttle to Victoria Falls Rainforest and town center, and complimentary Wi-Fi.  Transportation by 4X4 specially designed safari vehicle, with qualified driver, for all journeys specified in the itinerary.  Activities, National park fees, Entrance fees where applicable, for sightseeing excursions specified.  Full Pre-departure and final documentation with detailed “Guide to Planning your African Safari” & Safariline Duffle Bag for travel on lite aircraft.  Items of a personal nature, such as laundry, telephone calls, room service, alcoholic beverages, personal purchases, optional extra activities, etc.  Gratuities to tour guides, drivers and restaurant staff for services rendered.  Any other services not specified above.  Compulsory Travelers insurance and cancellation protection.  IMPORTANT NOTE: Effective 01 June 2017, the Botswana Tourism Organisation has implemented a Tourism Development Levy (TDL) of US$ 30.00 per person. Payable at all ports of entry (airport and border posts), the purpose of the levy is to raise funds for conservation and national tourism development. All visitors to Botswana, with the exception of residents and citizens (passport holders) of the Southern African Development Community (SADC) member states, are eligible. Payment is possible by credit card (Mastercard, Visa and Amex) or cash in exact denominations. Valid for 30 days and multiple entries during that time, the receipt must be presented to Immigration Officials on arrival in the country.  This quotation is subject to the availability of all services at the time of making a reservation.  Travel insurance coverage for injury, illness or loss of effects while on tour is NOT included, is highly recommended for travel and compulsory for many lodges and adventure safaris in Southern and Eastern Africa.  Registration: A 25% deposit of the total land price, per person is required. The remainder of the cost is due 75 days prior to departure date. Airline tickets must be purchased within two weeks of reservation confirmation.  Payment is accepted by personal check, company check or credit card. Safariline is pleased to offer a Travel Protection plan designed as an exclusive insurance plan to provide broad protection. The plan protects you and your travel investment if you need to cancel your trip for covered reasons prior to departure or if other covered unforeseen circumstances arise during your trip. This comprehensive insurance package provides pre-Departure trip cancellation, Post departure Trip interruption, Trip delay (8 hours or more), Medical Expense/Emergency Assistance, Accidental Death & Dismemberment, baggage and personal effects and baggage delay.